"Wasn't she just a baby? 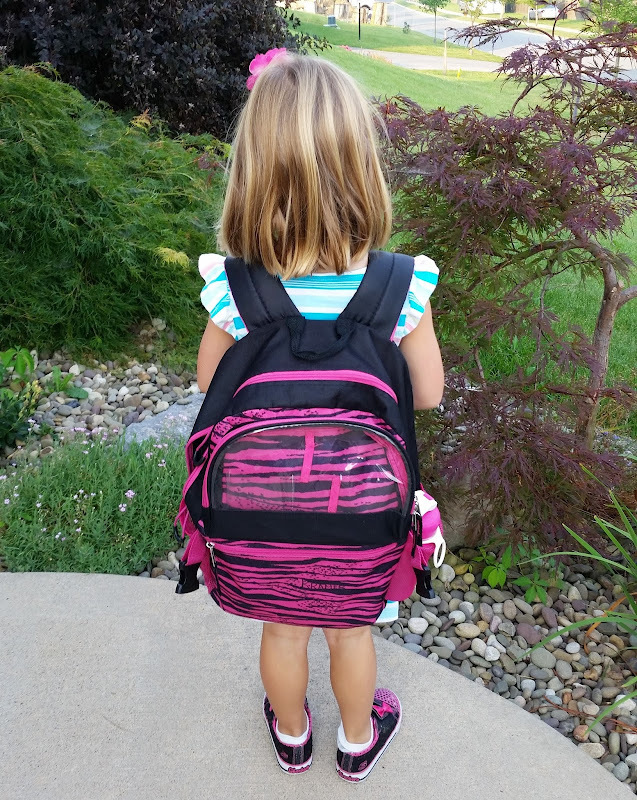 The infamous 2015 date seemed so far away..."
The statement above was one of the comments written on my Facebook wall when I, like most other parents with school-aged children, recently posted the obligatory back-to-school pictures of my daughters. For the past several years, I've known that this season would be a pivotal turning point in our day-to-day parenting: our youngest would join the school-attending ranks like her older sisters and start kindergarten. I could share how my heart swelled when she briefly clung to my leg and whispered, "I love you, Mama," when the bus turned the corner onto our street. I could explain that once the bus pulled away, I leaned into my husband's open arms, buried my face into his shirt, and awkwardly laugh-cried, "We did it, Joel. We did it," as he held me at the bottom of our driveway. I could tell you how my senses were overloaded by the stillness and silence when I returned inside my house, how I walked aimlessly from room to room for a few moments until I went to my bedroom, stretched out face-first on the floor, and prayed from the depths of my soul: "Lord, guide and protect my girls. Multiply my efforts. Correct my mistakes. I can't always be with them, but You never leave them." I absolutely ought to acknowledge that my next action was to treat myself to a pedicure -- an uncommon luxury that seemed to be the perfect response to the day's significant openness. In the hours that followed I cleaned the house, took myself out to lunch, cut the grass, planned my next lecture, went for a run, and reveled in the four calm minutes I had to spare before the bus returned and my children spilled out from it, bombarding me with backpacks and papers and exclamations and all the noise and chaos that had been so drastically absent for the past seven hours. It was just another day, I know. Just one single day. But somehow, the day represented more. It solidified the truth of my friend's comment. That kindergartener of mine? She was just a baby. They all were just my babies, and somehow, one day at a time, they've managed to grow up right before my eyes.